Drs. 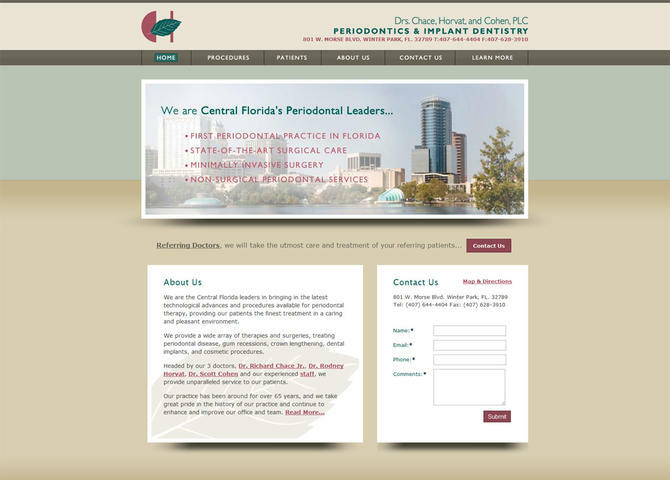 Chace, Horvat, and Cohen, PLC are Central Florida's Periodontists leaders utilizing the latest technological advances and procedures available for periodontal therapy. Visit Drs. Chace, Horvat, and Cohen, PLC.